SAN FRANCISCO – March 20, 2019 – Kentik®, the provider of network analytics for the cloud-native world, today announced it is the recipient of Frost & Sullivan’s 2019 Product Line Strategy Award in the global cloud-based network operations industry. Kentik’s recognition comes at a time when large enterprises and service providers increasingly struggle to understand the growing volume and complexity of network traffic and its business impact, particularly as more applications and workloads move to one or multi-cloud environments. 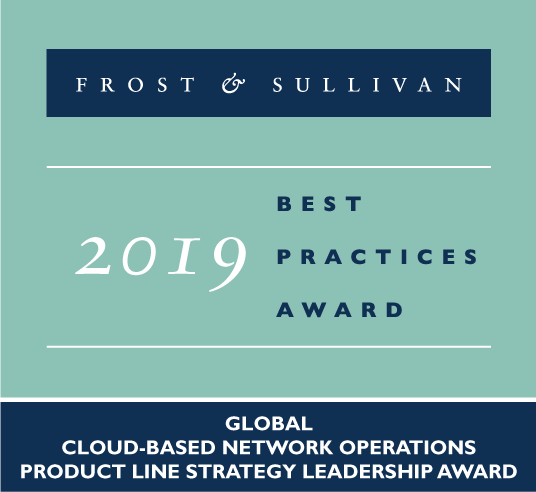 “Frost & Sullivan commends Kentik for delivering an analysis solution that unifies the needs of both network and security teams and provides a more meaningful fault analysis of the network and its associated applications,” stated the Frost & Sullivan award analysis. Bringing observability to the network layer of the application stack. “To provide observability for networks, Kentik tags raw network data with business-level attributes, along with other information, such as geolocation and routing data, to ascertain the network’s path. Tagging the traffic with many threat indicators allows engineers to identify any malicious traffic,” wrote Frost & Sullivan. Kentik Data Engine (KDE), the company’s proprietary distributed column-store database that collects, enriches and stores large volumes of raw network data. “KDE can recreate entire conversations that occurred on the network, based on boundary conditions supplied by the customer,” stated Frost & Sullivan. API-first approach, “meaning it is easier to integrate the solution with other tools or solutions built in-house by the customer. Engineering the platform as API-first is a big improvement over most other solutions that do not have many APIs, which limits the integration with other applications in data centers situated across different regions worldwide,” noted Frost & Sullivan. Download the complete Frost & Sullivan industry research on Kentik, or learn more about Kentik’s modern network analytics by requesting a live demo.